Wat is dit voor site? Wij zoeken de goedkoopste boeken op internet. The Black Flagvonden we het goedkoopst op Bol.com voor €156.99. We hebben gezocht in nieuwe en tweedehands boeken. Rechtsonderaan de pagina kan je het boek direct bestellen	via Bol	.com. First published in 1981, this book reassesses the case of Sacco and Vanzetti, two Italian immigrant anarchists living in Boston in 1920. The pair were accused of a payroll robbery and the murder of two guards for which they were arrested and, after a long trial based on inadequate and prejudiced evidence, executed in 1927. In 1977, on the fiftieth anniversary of their deaths, the Commonwealth of Massachusettes issued a proclamation which acknowledged a miscarriage of justice. 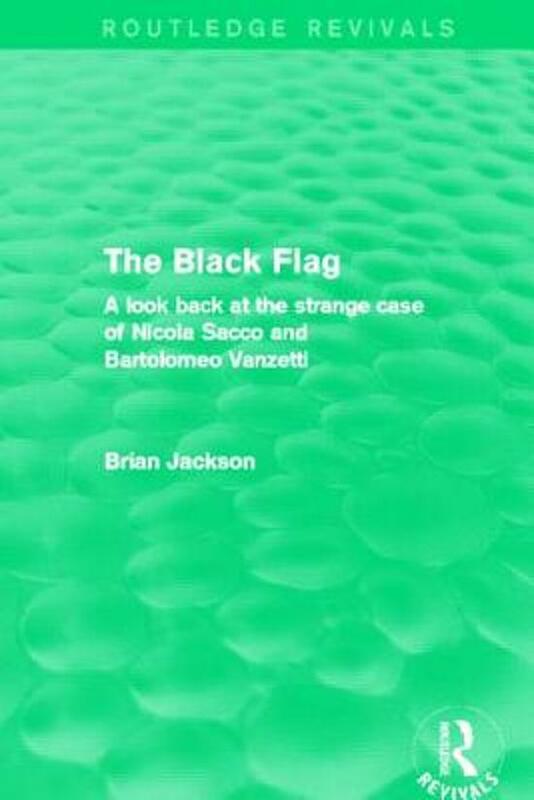 The Black Flag provides an account of the controversial trial and a re-evaluation of the celebrated case of the Commonwealth's decision. Brian Jackson puts the trial in the social context of the period and exposes the nature of anarchism by looking at the lives of two of its exponents, resulting in a moving exploration of a series of events that continue to trouble the conscience of America.